San Francisco-based startup Nebia recently produced a prototype shower that it says offers a better, more immersive showering experience. The Nebia Shower is also claimed to reduce water use by up to 70 percent, compared to a typical household shower. 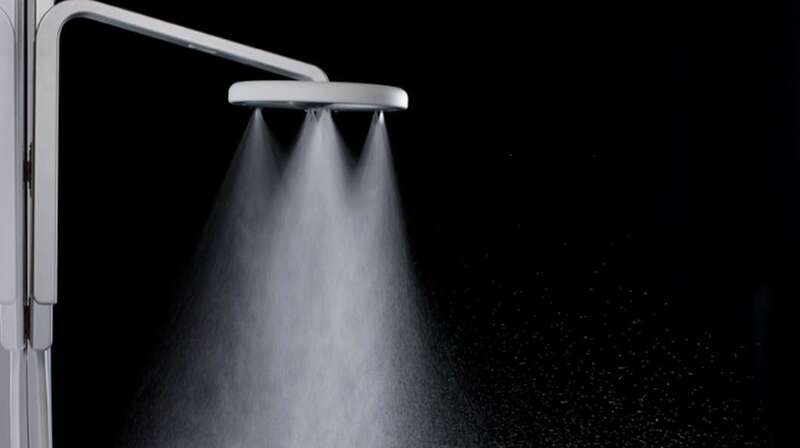 According to Nebia, the average person in the US uses around 20 gallons (75 l) of water during a shower, but with its shower, this would be reduced to just six gallons (22 l). Indeed, the firm reckons the money saved on water would ensure the shower pays for itself within two years in an average US home. Rather than pushing out large water droplets like a standard shower head, the Nebia Shower atomizes the water into tiny droplets, which the team says will leave you clean and hydrated while using nowhere near as much water. It’s still essentially the same system you’re used to (i.e. water going through the head and soaking you), and mist showers aren’t anything new either. However, this head looks very well engineered, with multiple nozzles designed using the kind of software used to study jet engines to produce the efficient mist. The Smart Water Heater Stock Poised To Disrupt A Sleepy, $52B Marketplace - EnerCom Inc.
March 19, 2019 - 5 Ways To Reduce Your Water Usage (So England Doesn't Run Dry By 2040) HuffPost UKEngland could run out of water within 25 years if we do not drastically reduce the amount we use, according to the chief executive of the Environment Agency. March 26, 2019 - 12 easy ways to help save water at home - Lifestyle from Xposé - Virgin Media Television virginmediatelevision.ieAs Waterwise and Friends of the Earth point out, being more water-efficient could help save money and precious resources. By Lisa Salmon. March 21, 2019 - How can housebuilders contribute to sustainable water management? Planning & Building Control TodayFrom rainwater harvesting to sustainable drainage systems, there are myriad ways in which housebuilders can contribute to sustainable water management.